These days accolades for the new release of a canonized indie rock act arrive before anyone has a chance to hear the album. Critics for the major tastemaking portals compete to be the first to best frame such albums, days before the masses have a chance to legally acquire a copy, and weeks before anyone can really gain a full understanding of an album’s worth. This now-ist urge to “get it first” / “hear it first” / “review it first” pried open a strange new wrinkle in spacetime this February when Pitchfork published what was essentially a pre-review of the long awaited “new” My Bloody Valentine album, m b v. In it the critic writes about the excitement and apprehension he feels just before he first listens to the new album. Yes: a review of what the album is like before you listen to it. To be fair, for certain people the arrival of m b v (22 years in the making, supposedly) is not unlike Brian Wilson finally completing Smile in 2004, or perhaps the discovery of a previously unknown work of Shakespeare. Over the last three months the reviews have mostly agreed that m b v is “very good” at least. Is m b v ‘s positive reception a magnificent comeback considering the distracted and now-ist nature of today’s indie scene or a fait accompli for a legendary band? 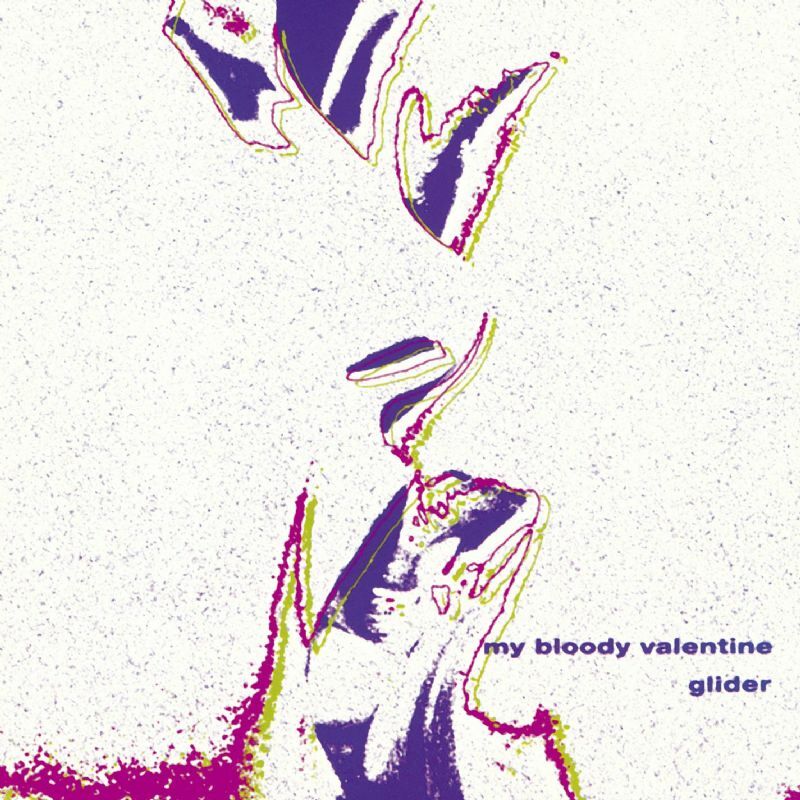 As a fan who wanted MBV to just “stay awesome” and also a cynic skeptical of the 90s-nostalgia bandwagon and the pre-determined feel of many big-time reviews, I’ve struggled with why I’ve fallen for this one given the hype and clichés of My Bloody Valentine’s history. Certainly the Behind The Music prerequisites are all here: an unknown band creates a new sound, a masterpiece album (1991’s Loveless) and then acrimoniously dissolves at the height of its powers; the genius artiste Kevin Shields struggles in his studio for 22 years to finish the follow-up; the years of hinting that “the album was coming”; and now the 20-year nostalgia cycle’s current focus – the nineties. But then I realized that even in 1992 I felt a kind of nostalgia whenever I listened to Loveless, and that longing is baked-in to the My Bloody Valentine sound as achieved in 1991. The band’s musical techniques and representations create an aura of yearning and loss regardless of the year, and the overall sound evokes a nostalgia gripped not by a conscious loss of a time or experience but rather the feeling of being lost. The impact of My Blood Valentine is usually attributed to the band’s sonics, both live and on record. The recorded music is dense, blurred and wrapped in an ether where bent guitars, effects, and synths swirl in the foreground while the vocals and drums swim deep inside the mix. It is a colossal wave, moving in delayed motion as large things appear to do, enunciated by Colm Ó Cíosóig’s slowed snare rolls, fills, and the drum programming. The opening flood of Loveless’ “Only Shallow” is typical of the sound’s roiling wash, simultaneously loud and soft as if heard from deep within something: a cavern, the ocean, the womb, a head with plugged ears. Live the band is legendary for its volume that Shields identifies as a performative element that “fills the room to such an extent that any inconsistencies with the mixing are overshadowed by the fact that the whole room is saturated” (TheQuietus.com, 5/10/2012). To further the sense of massive volume, Shields uses specific instrumental and mixing techniques: the constant “glide guitar” (where every strummed chord is bent with the tremolo bar) pushed to the fore, the drums deep inside, and the buried vocals of Bilinda Butcher and Shields breathing in and out, just beyond comprehension. Listen to the first minute of Loveless’ “Come In Alone”: each of the two rhythm glide guitars is hard-panned to a single side of the stereo field, while a delirious plucked guitar and a synth or effect swirl about the middle; then the vocals emerge, sounding first like Butcher but then possibly both Butcher and Shields while the bass holds single notes around which the guitars move in and out. The sum effect is an unusual combination of heavy and luscious: the ecstatic and the ferocious. MBV evoke these crescendos again and again with truly Romantic/Gothic excess. 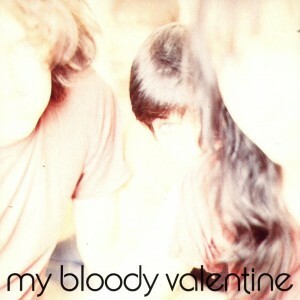 Even the band’s name – “My Bloody Valentine” – is emotional, visceral drama. Yet many kinds of music can feel emotionally loaded and overwhelming in power or complexity. Fans of classical music can point to such powerfully emotive moments in Wagner and other composers. A number of top rock acts and underground post-rock and post-metal bands can also get loud and grandiose. But what is remarkable about MBV’s brand of sonic sublimity is its maximal use of shifting pitches, its non-masculine or non-gendered sensibility, and its evocation of a particular nostalgia that is highly sexualized yet dissolute subjectively. To back up a bit, shifted pitches and “bent” notes are not unusual in non-Western music and appear in African instrumental and vocal techniques such as bending guitar strings or singing “blue” notes in later American forms such as blues, jazz and rock to signify yearning and nostalgia for lost loves, lost homes, lost freedom and the rest. More recently, we can hear a nostalgia in the avant-guitar technique of an indie rock band like Polvo (especially the bent note at 2:03 of “My Kimono”) and a yearning for unity in the feedback oscillations at the beginning of Drive Like Jehu’s “Super Unison” or the last minute of Fugazi’s “By You”. Through the progressive techniques of these and other bands creating at the time of Loveless’ emergence in the early and mid-1990s, we recognize that the contemporary listener could understand or feel how a number of volume- and effect-driven guitar, synthesizer, and vocal sounds could represent a yearning or desire. Coming from the inside (the place of union) rather than the outside, the sound signifies a departure from the home – the harmonic root note, the universal subconscious, the locus of sexual ecstasy – and a nostalgia for these things. 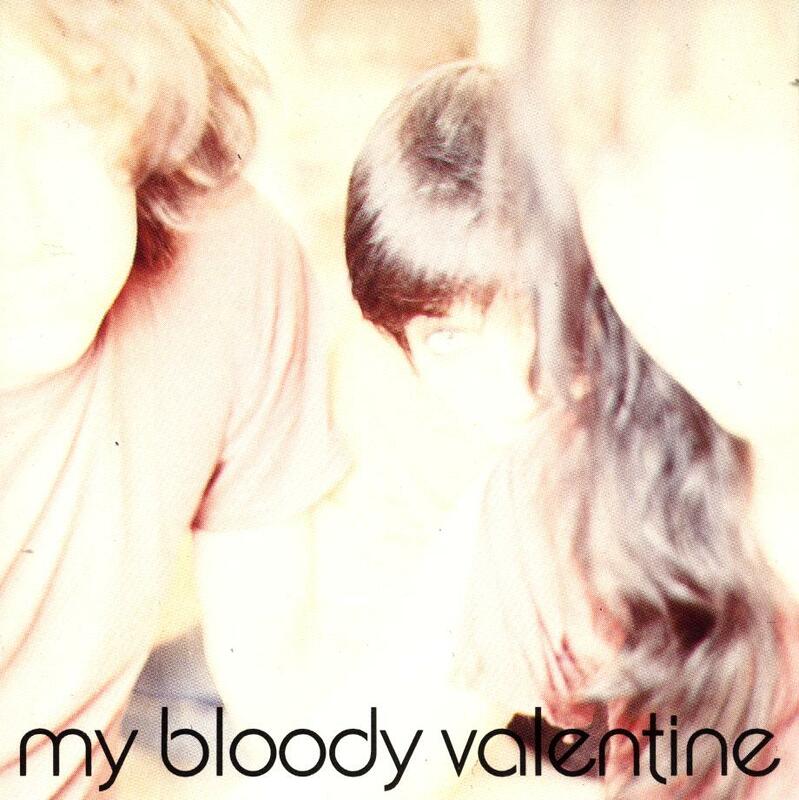 Following the sound, the symbolism in My Bloody Valentine’s titles, lyrics and artwork also deal in the romantic tropes of losing one’s self. The hazy cycle of dissolution and recognition/return is represented over and over again by the often incomprehensible language and gender of the singing and the subjectively confused or incomplete nature of many of the song titles (“I Only Said”, “who sees you”, “if i am”, “Off Your Face”, “You Made Me Realize”, “is this and yes”, etc., etc.). Occasionally the lyrics even rise to comprehensibility and describe the nostalgic dissolution: “when I look at you, oh, I don’t know what’s real” (“When You Sleep”). Visually the album covers symbolize psychic and sexual dissolution/union in various ways: the ecstatic expression of You Made Me Realise’s girl lying on her back with the lilies and knife at her throat, the searing white heat that envelopes the band members on Isn’t Anything leaving only hair and edges, Glider’s genderless faces kissing with eyes closed as they again evaporate into a white electric field. These visual and verbal signs further MBV’s sonic concept of a dissolving self being overwhelmed by an ecstatic experience.